Lincoln Certified, ONLY 28,547 Miles! Sunroof, NAV, Heated Leather Seats, 3rd Row Seat, Turbo, Quad Seats, 4x4, Tow Hitch, POWER MOONROOF, 2ND ROW 40/20/40 LEATHER SPLIT BENCH.. ENGINE: 3.5L V6 ECOBOOST. READ MORE! Leather Seats, Third Row Seat, Navigation, 4x4, Quad Bucket Seats, Power Liftgate, Rear Air, Heated Driver Seat, Heated Rear Seat, Cooled Driver Seat, Back-Up Camera, Running Boards, Premium Sound System, Satellite Radio, iPod/MP3 Input. MP3 Player, Rear Seat Audio Controls, Privacy Glass, Keyless Entry, Remote Trunk Release. POWER MOONROOF, WHEELS: 20 DARK FINISH ALUMINUM, ENGINE: 3.5L V6 ECOBOOST (STD), 2ND ROW 40/20/40 LEATHER SPLIT BENCH SEAT console delete. 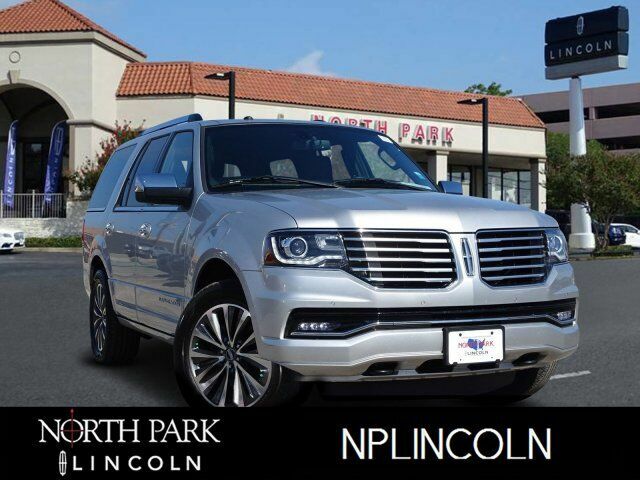 2016 Lincoln Navigator with Ingot Silver Metallic exterior and Ebony interior features a V6 Cylinder Engine with 380 HP at 5250 RPM*.